I was born and raised in Kansas City, MO (Go Chiefs) and moved to the Bay Area (Foster City) over 20 years ago. Education is a second career for me and I am so blessed to be doing what I love. I taught Pre-school and Pre-K for 12 years in Burlingame and am passionate about Early Childhood Education. I recently returned to graduate school to complete my Multiple Subject Teaching Credential. This is my fourth year teaching Kindergarten at Beresford. I am the proud mom of two very active boys. Nickolas, (18) is a Senior at Hillsdale High School and Matthew (14) is an eighth grader at Bowditch Middle School. 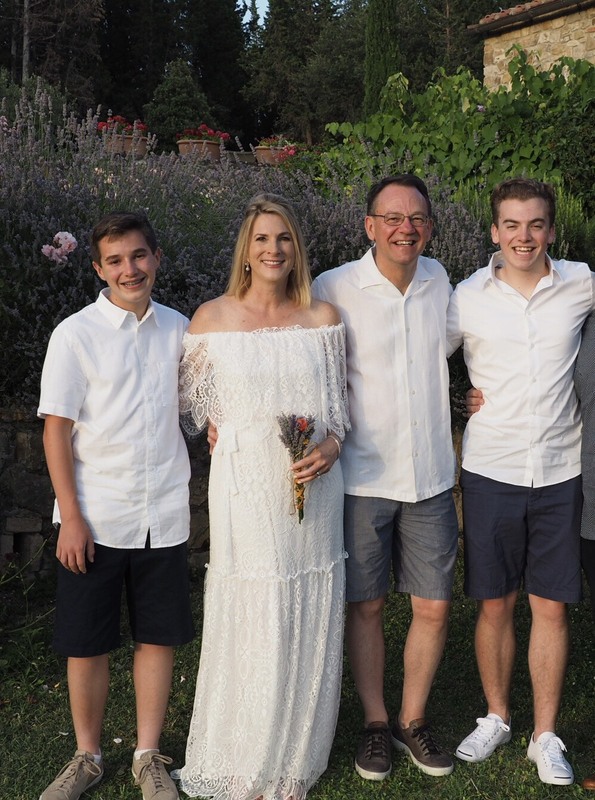 My husband, Michael, and I recently renewed our vows on our 20th wedding anniversary this past summer! Our beloved German Shepherd, Kodi, keeps us moving each day. Running, reading, soccer games and trips to the beach are weekend favorites of mine. Kindergarteners amaze me each and every day. I learn from them, grow with them and celebrate successes with them. I am excited to teach them all the wonders of learning. How is the character Feeling? How do you know? Think: has this ever happened to me? Counting Collections: counting miscellaneous objects to 100. How can we count? Make a plan. Would sorting make it easier? How will I keep track of the items I've already counted (move them aside? put in a cup? ) Group by 10's, group by 5's..Group by 2's : Record what you have counted onto a recording sheet. Draw a picture representing how you counted. Does the drawing match the actual items counted? Can you write the corresponding number correctly? Can you explain your quantity to someone? Monday, Tuesday, Thursday , Friday-P.E.